Privatus is a business messaging app that secures your company's communications using military-grade end-to-end encryption. Private encryption keys are stored only on the end user devices and never shared with others—only the intended recipients can read your messages. Securely discuss confidential matters with colleagues and associates. Protect the privacy of your client and customer communications. Stop your data from being mined for advertising and marketing purposes. Use Privatus. Secret encryption keys are generated and stored only on your device. Keys may be exported to iTunes or backed up on iCloud, but they’re never sent to us. No personally-identifiable information is ever collected. Even your username is hashed, so we don’t know it! *All recipients must have Privatus installed. Communication with other OpenPGP-based software is not yet supported. The app uses proven industry-standard RSA and AES encryption algorithms with OpenPGP-based messaging for end-to-end encryption that is simple to use. We wanted the industrial grade encryption without the tedium—to the point where you can drop in files of any sort into the app on your smartphone (or elsewhere) and it will be sent encrypted. There are no absolute guarantees in life. The message itself uses the encryption technology that makes it incredibly hard to break while the message is encrypted or in transit. Yet, the weak points are the user and the phones. If someone can get access to your phone and guess your passphrase, they can, of course, read the messages. How do you make sure that the recipient of my message will not exploit my message? We don’t. Simply put, if you don’t trust the person you are sending a message to, you shouldn’t be sending those type of messages to that person. We are not experts on human psychology, but we are pretty sure that if someone is out to screw you over, they will. This program is designed to ensure the safety of the contents of the message from third parties. We do not have an antidote for betrayal. That is up to you to navigate. 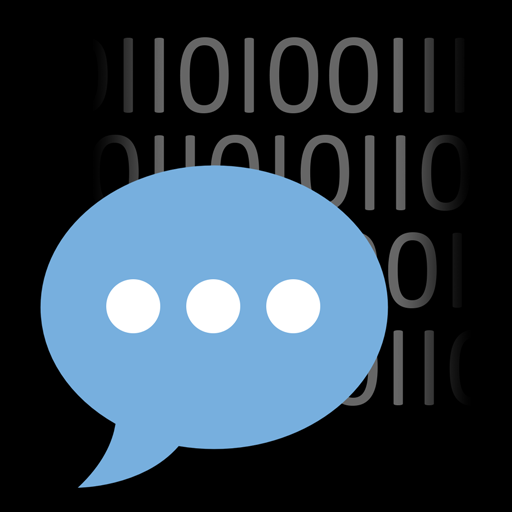 Why is Privatus different from other messaging systems? Our focus is your privacy so we are building everything from software to company structure to protect that. We give you the keys (literally!) to manage your own privacy and security. Most other solutions only secure data while in transit to and from their servers, but require you to trust them not to peek at your data at their server. Some provide their services for free, but mine and analyze your data for profit. With Privatus, you encrypt the data, we just deliver it. No one but the intended recipient can decrypt and read the message. Does Privatus save every message on a server? Messages will be saved on our server for 30 days to allow adequate time for messages to be delivered to all your devices. However, all messages on the server are stored in encrypted form, and we do not have the keys to read them. What technology will Privatus use? Privatus uses standard OpenPGP-based communication with RSA and AES encryption. This will allow us to leverage OpenPGP’s extensive feature set to develop additional functionality, with a goal towards interoperating with the broader OpenPGP community in the future. Who has our Encryption key? Do you? Each user has a private key that is stored only on their device and never shared with us. We do not have access to anyone's encryption key. This means that there is NOTHING for us to hand over to ad companies, data miners, or other entities who demand to see your messages. They will have to go directly to the source, which would be the users. We got into the business to maintain your privacy and security, and the system is built to ensure that. Will you provide an API and/or allow third party clients? We hope to in the future, however there are a lot of security considerations to take into account before we can offer third-party access. Yes, see the support section. Because it’s kinda-Latin for privacy. We liked the sound of it. None of us took Latin. Except for the lawyer. But he’s a lawyer.